One man I feel sorry for in this whole saga is Phil Ligget. I have enjoyed his dulcet tones over the years. Without him commentating a race, the race seemed the poorer, less exciting, somehow less important. I was fortunate to catch him several years ago at a lunch several TdU’s ago. It may sound strange, but he spoke just like he does when commentating. He had no notes, his stories seemed to come naturally, and he came across as a very friendly bloke. It was hard to watch a crestfallen hill on being interviewed on 4 corners last week. Lance certainly has a lot to answer for. One of his biggest supporters had been lied to by pharmstrong, to his face, and he was certainly looking and sounding like his word had fallen in. He was interviewed overnight from the UK, and his demeanor looked brighter than it did last week. Check out the interview here. One of the simple pleasures I have in life is a weekly morning stop at a cafe on the way into work. Well, mostly weekly. I pick up a packet of freshly ground coffee for my plunger at work, and if the morning is nice, I’ll sit out at one of the small tables in front of the cafe and have myself a nice flat white. If the weather is inclement, then sitting indoors is a pleasant substitute. Red Berry Espresso is located at L’Estrange Street, Glenside, just down the road from Burnside Village. Walter is the proprietor, a keen cyclist and supporter of of the local cycling scene, and is now taking orders for his stylish new Red Berry Espresso cycling kit in the lead up to delivery. Pricing is $195 fora short sleeve jersey and bibshort. Several weeks ago I asked my fellow wednesday leggers about what tribe they ride in. The responses are slowly coming in, and not only from Adelaide, I’ve had some responses from Perth and Canberra as well. I know there are many more out there than what I have added below. I am trying to track these down, but for starters I thought I’d post what I have come across so far. 15 give or take middle aged men of various fitness levels. We ride once a week on Sundays starting at either Burnside Village at 7:45am or at the Bollards at 8:30 am. Weekly route is determined on Friday, when the stream of emails sometimes reaches ridiculous proportions. The route changes from week to week depending on how many stooges turn up, how much was drunk the night before, the weather, whether the tanti man decides to ride, and so on. We’re not awfully serious, but are seriously awful. Saturday mornings 8am – meet at Glenelg, always ride to Outer Harbour and back – numbers vary, often in excess of 100. Cafe is Plank, Adelphi Tce Glenelg North. Group Rides every Sunday. Meet and ride with others from the CVSA Team Sunday at 8am at St Peters Girls College car park, Stonyfell. Usualy a few hours riding into the Hills, followed by a brew at Taylors Blend on Hallet Rd, Stonyfell. They have a great website – http://www.cvsacyclingteam.org.au/. A great organisation for a great cause. Make sure you check them and their cause out. The Latte Sunrise ride rolls at 5:45am and heads down to Glenelg and back. The Espresso Sunrise rides rolls at 5:45 and heads up to Waterfall Gully, then loops around to Sunnyside, Portrush and back to Red Berry Espresso. SPACE is a collective of industry people (Supply, Property, Architecture, Construction, Engineering). They ride on a monthly basis, starting in Rundle Street Alfresco Rundle Street.The next ride is November 11th, 7:30am. Not sure how many on the distribution list, I lost count after 100’ish, but it would appear to be a ride group around 20 – 30. Started as a casual bunch of road cycling enthusiasts wanting a regular Sunday ride with mates. Since then they have ridden a lot, gotten fitter, welcomed some new faces, made some kit, made up a name, changed our name and even started racing again. It’s still about a Sunday ride with our mates. They do itfor fun. They love to ride bikes. They are a club, not a team. They stop for coffee. Mega Bike is launching a regular series of Saturday morning training rides raising money for The Sam Roberts Family Fund. The Sam Roberts Family Fund was set up by Marty Roberts (Asst Head of Middle School). All of the money goes towards supporting children and their families through the Women’s and Children’s Hospital. Would be a good ride to get as many of us involved as possible. I will send out a reminder. The Saturday morning rides will head to Outer Harbour and back; riders can select one of three groups to ride in depending on speed. Not the name of the cycle group, just a ride group organised by Carl Salt that meet on Friday mornings at the toll gate at 6am for a ride up to the bollards. 35 minute pace. They do also ride in the hills on a monthly basis, but I’ve lost details. I’ll update when I can. The FRA is an informal road cycling group based in Adelaide. They are a dedicated and enthusiastic bunch of riders who ride regularly for fitness, fun and coffee. We have regular group rides and meeting spots but riders also arrange ad hoc rides to supplement these. Link to their website below. Check out their corkscrew challenge on their website. Some great pictures. I have seen these guys ride around in large and small groups, and have seen individuals in the road. I have been invited by a friend of a friend for one of their group rides at the velodrome several years back. They are however an inigma to those outside the fat boy membership. They have a webisite, but it pretty much locked down unless you are a member. They are affiliated with cycling South Australia. He members of Team CIBO formed their cycling group in February 2001. Team CIBO is one of the strongest teams on both the domestic and national scene. It has experienced success in high profile local events such as the Cyclosportif time trial series as well as national success in the form of gold medals at the Australasian Masters Games. Team CIBO now consists of approximately 38 cyclists of varying abilities and backgrounds. The large team of red kitted CIBO cyclists has become a common sighting around Adelaide. The Skinny Lattes is a women’s specific cycling group based in Adelaide. The groups is made up of women from all walks of life, stages, abilities and ages who love to cycle. They are recreational riders, track riders and road riders who enjoy clocking up kilometres in beautiful Adelaide and beyond. As their numbers have increased they have become incorporated with support from Cibo and will be affiliated with cycling South Australia. A group of men (in tights) and women (also in tights) from Canberra Australia, with some interstate and international members thrown in the mix. Many of the members have years of solo and combined sporting achievements under their belts, ranging from scrabble to adventure racing, including numerous training and planning sessions at pubs and cafes. HoP – Hour of Power, HoT Hour of Terror and bakery bunch. Mix of male and female, as well as a mix of amateurs, AIS, NSR riders and Drapac riders. Meet at the Phillip Bike shed. 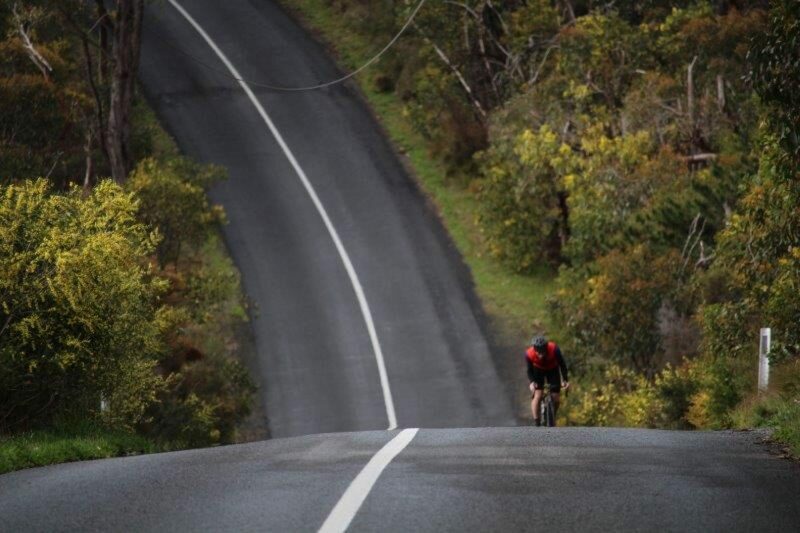 VCC was established in 1996 to promote and provide opportunities for participation by South Canberra and Tuggeranong residents in all forms of cycling. It now caters for cyclists who live all over Canberra including Northside and the Belconnen area. It conducts road races and other cycling events in the Canberra region. Club members also organise training and social rides and can assist with coaching riders of any ability. VCC has a strong contingent of women cyclists, masters-aged cyclists, and also has several AWD (athletes with a disability) members. The Canberra Cycling Club is one of the oldest and largest cycling clubs in Australia, a great reflection on the club and the environment in which we are able to ride. Predominantly males, numbers vary depending on time of year and weather. Can be as small as 5 or 20-30 riders. Usually 2 – 4 females. Established a few years ago has regular riders with like minded attitudes (ride safe, have fun and have a good workout),who know how to ride and assist new comers, so it now runs itself. Tuesday, Wednesday, Thursday and Friday rides start at 5:30am under the Narrows Bridge, North Side. I’ll set up a separate page for cycling tribes and will update as more come in. If you want 1 website to keep abreast of all cycling news, then this is it. Constantly unpdated, and some great links across the braoder cycling community. It is excellant. Screen shot below to give you a feel for what it does. Ever wanted to get yourself a decent cowbell for the Wikllunga hill, but never been tossed to find one. Well, have a gander at thecowbells on this site. Very cool large bell with black wrist strap. Imprinted with MORE COWBELL. metal handle (under the herringbone weave webbing) is 5 inches. The bottom of the bell is 3-1/2 inches wide. Previous postWho is Paul Kimmage?